One size for every appetite! Our best-selling tower has one size for all – small, medium or large! 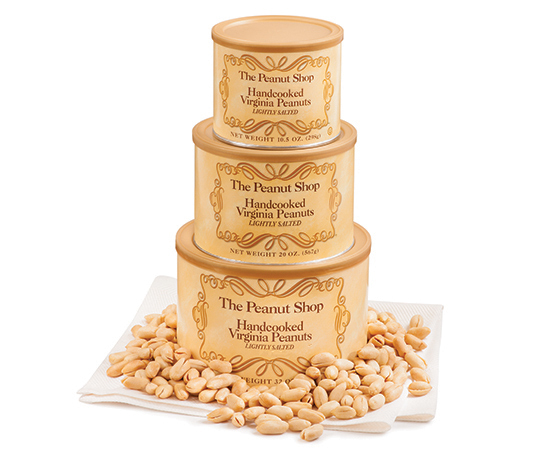 Try our lightly salted, Handcooked Virginia Peanuts stacked in a gift tower with 10.5 oz., 20 oz., and 32 oz.Tins. It's a great gift for every peanut lover!